DJ, Photographer, Events promoter and electronic music enthusiast, James comes from Inverness, Scotland. 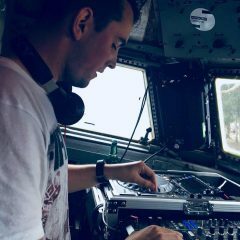 Still new to the scene but so far he has has supported Ferry Corsten in Edinburgh, Kutski in Aviemore and played multiple venues throughout the Inverness area including his debut at Belladrum’s Mothers Ruin stage in 2018. 2019 has got off to a great start for James as he has become an official resident for ‘Experience Trance’ and every month his 2 hour Trance Podcast ‘Horizons’ is released under ‘Experience Music’. He is currently in talks about playing in Ibiza in July and has just secured the Friday night headline slot in an Inverness based festival in May.